Based on the five nominations, it would seem like a weak year for adapted screenplays in 1957, but nothing could be further from the truth. Admittedly, there are a number of screenplays I like, like The Incredible Shrinking Man, that don’t turn the head of Oscar. Kurosawa left the credit to Shakespeare off Throne of Blood. Westerns were still a thing in 1957, which makes the absence of 3:10 to Yuma interesting. Bergman’s The Seventh Seal was based on a play that he wrote, which may have steered nominations away from him. I can’t speak to The Three Faces of Eve, since I haven’t seen it, although I have heard good things. Even if we ignore all of those unlikely (or unknown to me) films, there are three that should be here: Witness for the Prosecution, based on Agatha Christie’s work; the sardonic and delightfully nasty Sweet Smell of Success, and the truly amazing Paths of Glory. 5. There was a rush for the bottom here, and I’m putting Heaven Knows, Mr. Allison in last place. The reason for this is simple: it took me two days to get through the film. 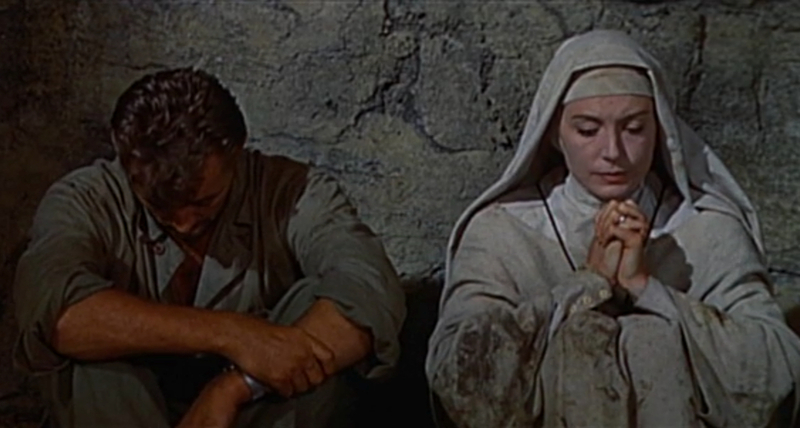 I like Robert Mitchum quite a bit, but didn’t love him in this, and that says something. It’s preachy, I don’t buy the romance, and ultimately, I think the plot is a huge problem. When we’re talking about screenplay, having a plot that doesn’t really work is a significant problem. There’s no good reason this should be in the running. 4. Sayonara is in fourth place only because I respect what it tried to do, even if I think it mostly failed to do it. 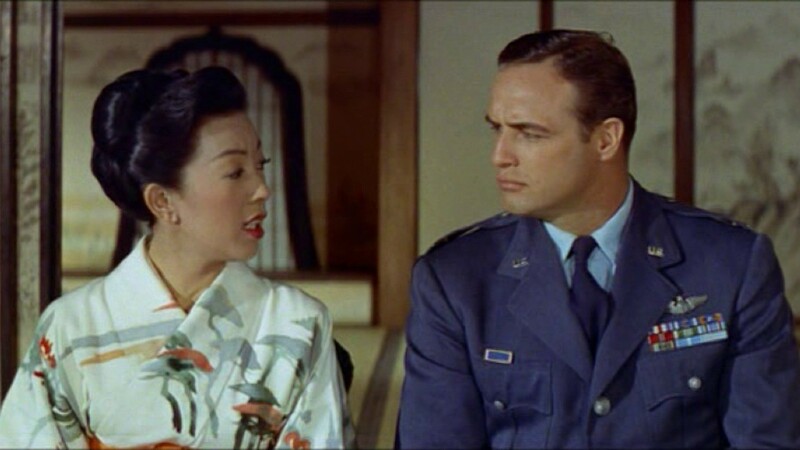 A movie about an interracial romance was risqué in 1957, and having an actual Japanese actress in the role is pretty amazing for the year. It’s a film that desperately tried to be progressive in its attitude toward race, and I respect the attempt. It’s hopelessly regressive today, though. 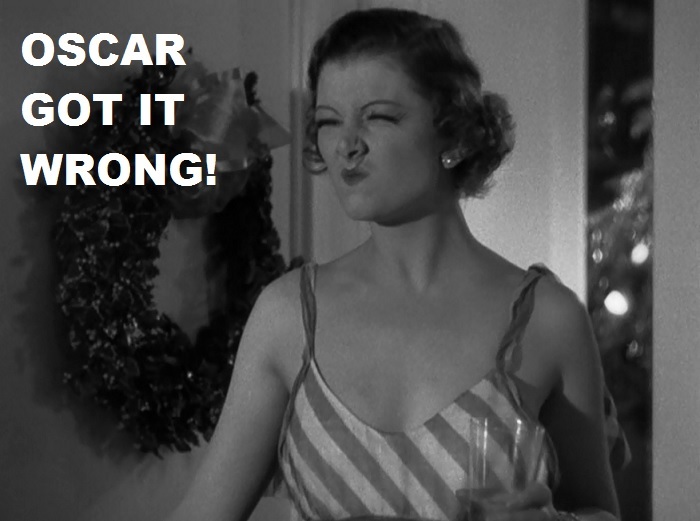 That’s not the fault of the film. It’s just got too many problems overall for me to really think it deserves the nomination. 3. With Peyton Place, we’re at least edging into the realm of films that I think I would consider nominating. I probably still wouldn’t nominate Peyton Place, but it would be just on the edge of legitimate contenders. I’m a little surprised at the nomination, honestly. This is a film that goes to some very dark places for 1957, and I like that the Academy had the guts to put it on the list. So why is it third? Because from what I understand, it’s a very sanitized version of the actual story. It might be as far as it could go for the time, but it’s not enough. 2. 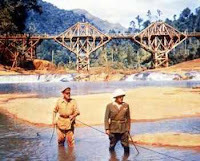 The Bridge on the River Kwai won this Oscar, and I understand why it did. It’s a long, epic film that holds together and works brilliantly. It’s the first of the nominations that I would keep, but in an open field, I don’t think it would come in second place. It’s a great screenplay to be sure, but it’s a movie that is far more notable and remembered for the performances it contains. Jack Hawkins, William Holden, Sessue Hayakawa, James Donald, and especially Alec Guinness are the reasons to watch it, not the screenplay. 1. 12 Angry Men is my clear winner. The reason for this is simple: there are really only two elements to the film. There is the screenplay and there are the performances. The performances are tremendous top to bottom—no argument there. But it’s the screenplay that drives every moment of the film, and it is about as close to a perfect screenplay you’re going to find. Every twist and turn of the story works perfectly, and while the performances are great, those performances are based entirely on a screenplay that makes everything work. 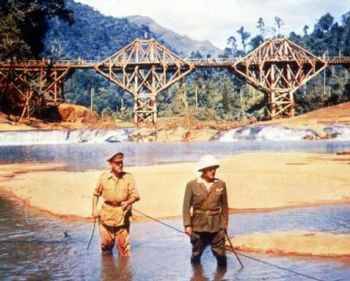 I get the win for The Bridge on the River Kwai, but it’s 12 Angry Men that should have been the winner. Oh, boy, there were really a lot of missing noms in 1957! I have no argument with your pick. In an open field, I would have been torn but probably would have given my vote to Sweet Smell of Success. Witness and Paths also fantastic misses. Hard to object to Sweet Smell of Success, really. The top two of the nominations and the three at the end of my first paragraph would be my five nominations, I think. I did not know Paths of Glory was an adaption, I was so busy giving Kubrick all the credit for the movie. It is a brilliant story and it deserves a nom. 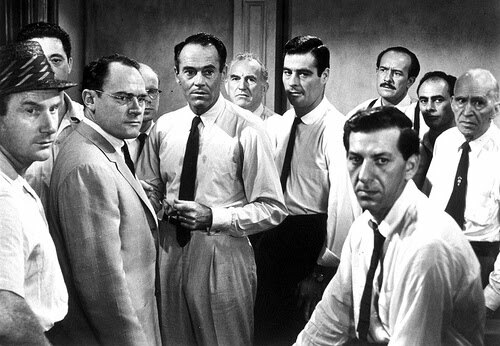 Still, 12 Angry men would also be my winner. Right--it probably wouldn't come higher than third for me, but it should certainly be there ahead of Heaven Knows, Mr. Allison. I'm 100% with you here. 12 Angry Men all the way. One of my favorites! Figured you'd agree with this one. Honestly, it wasn't that hard of a call for me. 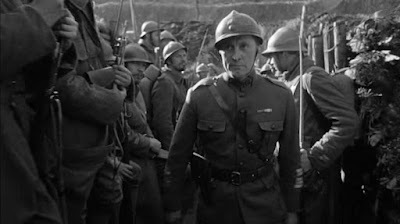 I've only seen your top two, but I'd still say that Paths of glory and Sweet smell of success are two rather glaring omissions! In the end, though, my vote would probably also be for 12 angry men. Paths of Glory and Sweet Smell of Success are ridiculously excluded here based on what was nominated.